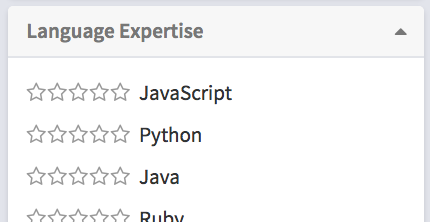 Starting your Github search with SeekOut's Power Filters, relevant keywords, and location will usually deliver good candidates, but you may want to further refine your search. Here are some additional steps to take to find the right candidates. 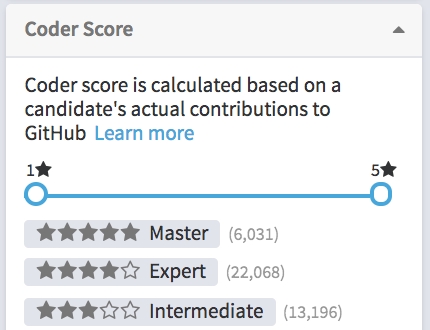 By changing the range of Coder Scores returned by the search you can target only the most elite candidates (5 stars), very strong candidates who might be easier to hire (3-4 stars), or good-but-not-amazing candidates (2 stars). Of course, you can continue to refine your search by applying any of the additional filters.